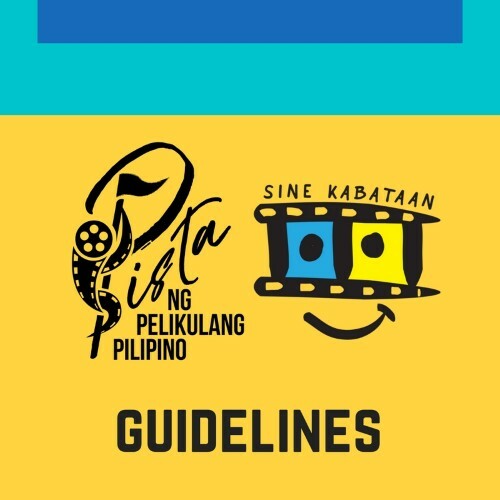 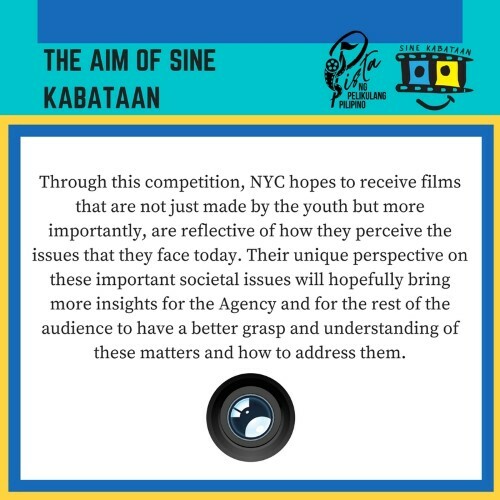 In order to give platform to all aspiring young film makers and to provide opportunity to expose their fresh talents, the National Youth Commission (NYC) is inviting all youths in the Philippines to join the SIne Kabataan Short Film Competition. 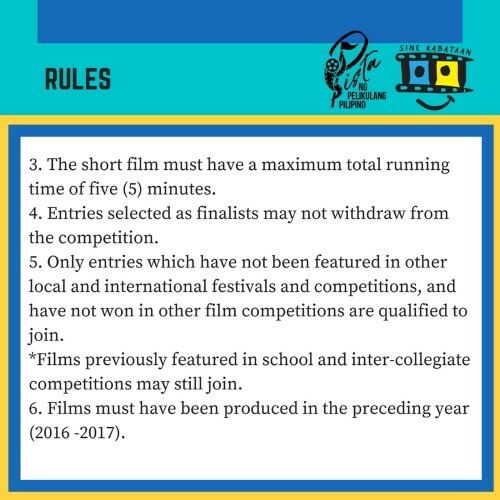 This competition serves to encourage the youth to develop their creativity and originality in story-telling, touching on important issues of today. 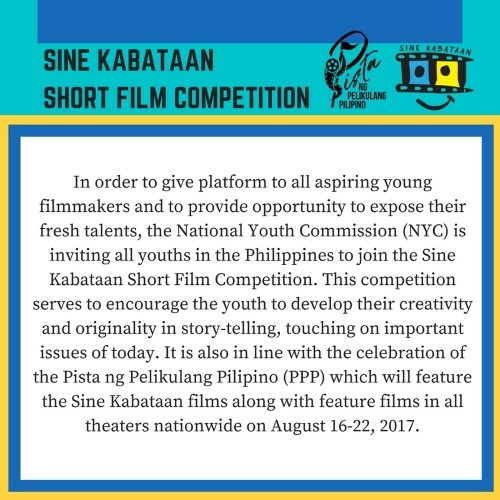 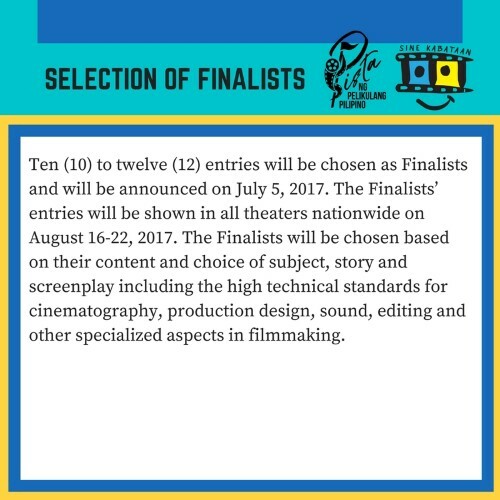 It is also in line with the celebration of the Pista ng Pelikulang Pilipino (PPP) which will feature the Sine Kabataan Films along with feature films in all theaters nationwide on August 16-22, 2017. 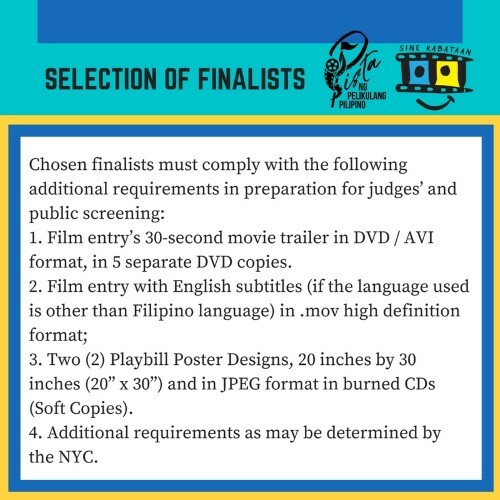 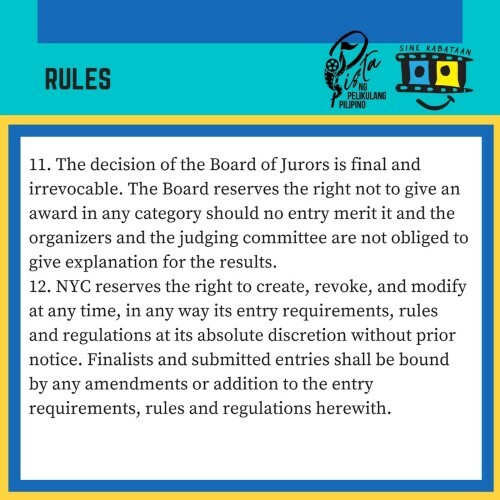 Through this competition, NYC hopes to receive films that are not just made by the youth but more importantly, are reflective of how they perceive the issues that they face today. 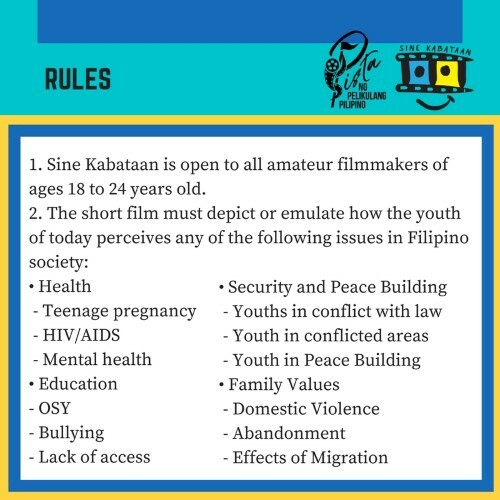 Their unique perspective on these important societal issues will hopefully bring more insights for the agency and for the rest of the audience to have a better grasp and understanding of these matters and how to address them. 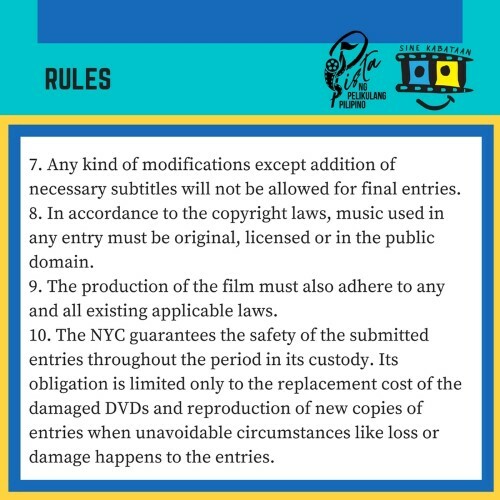 Five copies of the film entry in DVD playable / AVI format in regular 5x5 inch DVD case with slip-on cover containing the following information: Entry Title; Total Running Time (TRT); Genre; Production Company Address; Contact Numbers; and Director's name. 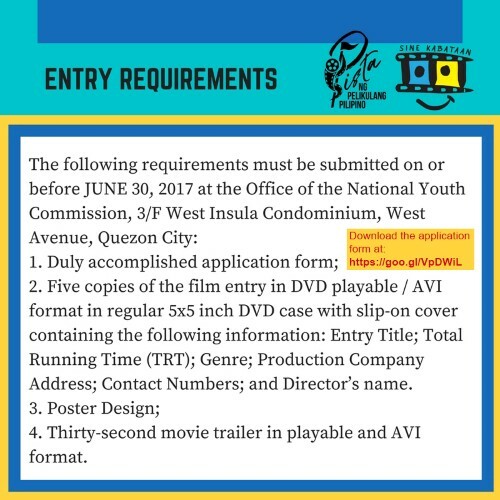 Thirty-second movie trailer in playable and AVI format.